Despite a boom in the number of people on the Paleo Diet, there hasn't been a rise in the number of restaurants that cater to their red meat-loving, grain-free lifestyle. There is no Paleodonald's. No Paleo King. No Wend... eo's? 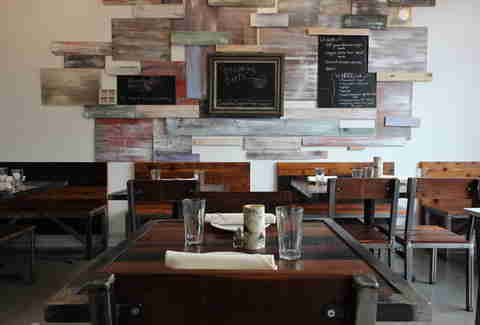 But now there's Blooming Beets, an unassuming restaurant in the fittest town in America: Boulder, Colorado. And the food there is strictly Paleo. And completely delicious. 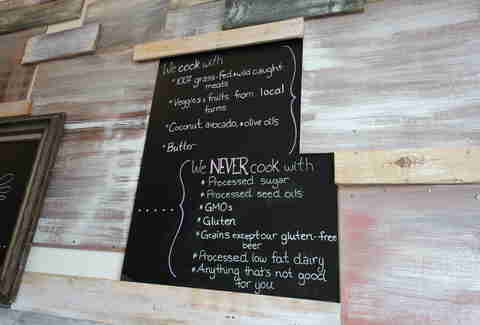 Many of the servers, the chef, and the owners of the restaurant are Paleo. But they're not going out of their way to shove their dietary choices down your throat. A tiny board on the wall does the talking for them. No sugar? No gluten? No dairy? What's left to eat? 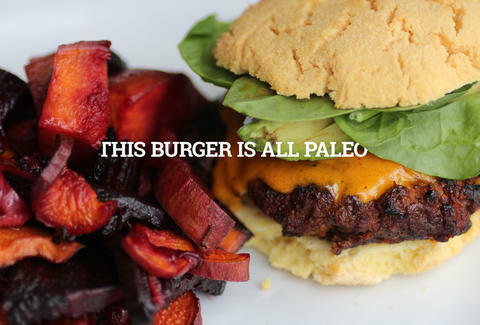 But burgers aren't Paleo! This one is. 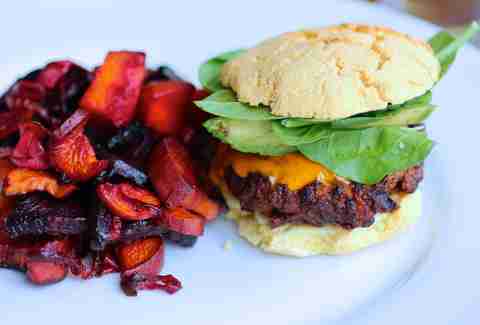 They make their own grain-free bun from almond and coconut flour, and sandwich a grass-fed beef burger inside of it. Baked sweet potato fries patiently wait to be eaten nearby. There's no better pairing with a burger than beer, but they're hoping you forget that once you see their strong cider list. 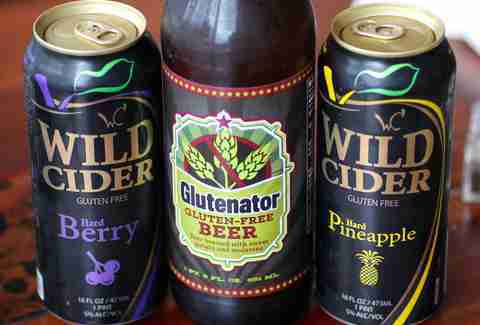 Select from nine different varieties of apple booze, including some bizarrely flavored Wild Cider, and a gluten-free beer from the locals at Epic Brewing. 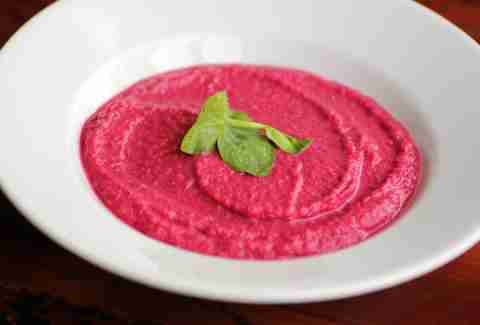 And while this may look Photoshopped, that color actually existed in real life in the form of beet-ginger-citrus bisque, which was bright, citrusy, and not at all earthy like your average beet soup. 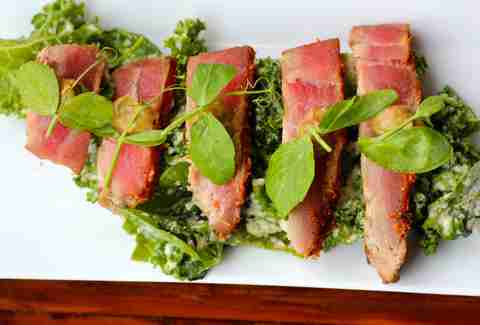 This is the seared tuna with hempseed-seaweed salad drizzled in a hempseed-cashew dressing. Weed is legal here, but the sauce is 100% THC-free. 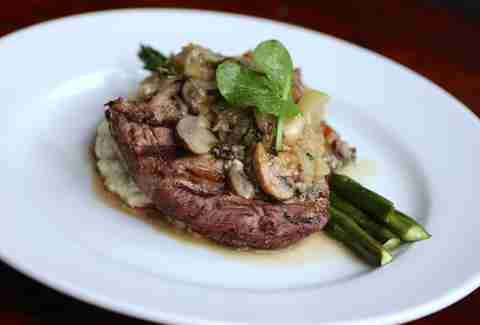 Blooming Beets' grass-fed steak is covered in a savory mushroom sauce, and paired with a rosemary-sage cauliflower puree that won't make you miss mashed potatoes one bit. Roasted asparagus also makes an appearance. Paleo is an oft-misunderstood diet, but looking at Blooming Beets' menu proves one thing: if you like meat, vegetables, and booze, eating Paleo like this won't be too much of a struggle. Lee Breslouer writes about food and drink for Thrillist, and thinks Paleo food is tasty, but could never give up bread. Follow him at @LeeBreslouer, because you can't make up a name that good.